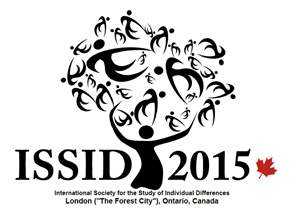 The 2015 ISSID conference was held in London, Ontario in Canada from Monday July 27 (registration and evening welcoming reception) through Friday July 31. The original plan to hold this conference in Toronto had to be changed due to the prohibitive cost that the Society and members would have incurred. London, Ontario is a beautiful city about a 2-hour drive from Toronto which can also be reached by plane or shuttle bus. The city offers many amenities and excellent restaurants and is close to such attractions as the Stratford Theater Festival, Niagara Falls, and Toronto. The conference itself was held in meeting rooms on the campus of the University of Western Ontario, easily reached by car or bus from nearby hotels. Delegates were provided with free bus passes. The University also provided very inexpensive private bedrooms in one of its recently constructed residence halls which is within easy walking distance of the campus. The program for the 2015 ISSID conference is available. Additionally, a document containing the abstracts of the scheduled presentations is available for your convenience. A campus map of the University of Western Ontario in London, Ontario, Canada– the venue of the 2015 ISSID conference– is available to download below.